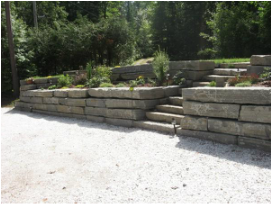 Armour Stone Ontario - Armour stone stairs, retaining wall installation in hamilton, burlington, Oakville. Whether you choose a natural square /rough cut flag or armour stone, or if you like the new tones we have in our permeable paver catalogue (interlocking patio stones), we will work with you to to create a beautiful Design, walkout or Patio. Afterall, your backyard is more than just somewhere to entertain friends and family, but rather a depiction of your lifestyle and unique tastes. Are you excited and ready to get started? If you are, and have an existing Landscape Design or wish for us to create a new Landscape Design with you, please contact us us as we are your complete Design, Manage and Build experts. Spring 2018 is here, due to higher than normal interest for Spring Landscaping and Armour Stone installations, we ask new clients to please complete the Landscaping Questionnaire on our contact page so we may be better prepared to assist you. Once completed our Project estimator will contact you. 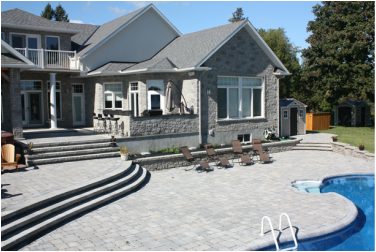 Our Landscaping and Design site specializes in Armour Stone Installation we service clients in Hamilton, Burlington and Oakville Ontario. 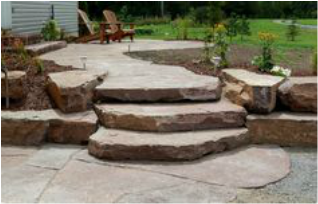 www.armourstoneontario.ca We look forward to working with you on your Landscape Design Landscape Projects and Construction.